We have a wide selection of premium wool sweaters made from pure Icelandic wool. Sweaters and cardigans in various colors for men, women and children. Both stylish and semi-conservative patterns. 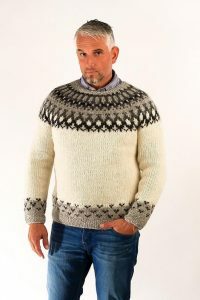 Hand knitted from pure 100% icelandic wool by Icelandic house-wifes. For those who prefer buttons to the crochet style. Hand knitted wool cardigans made with finest Icelandic wool. 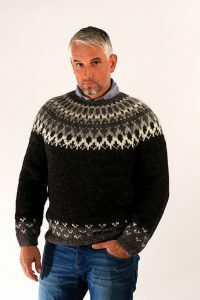 For more information and to order Icelandic wool sweaters online, click here.